Access hatches are used for access onto the industrial buildings, civil and commercial buildings, sports halls etc. Access hatches can be made horizontal. 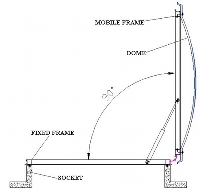 They consist of a fixed frame, a 6060 aluminum mobile frame with built-in drain, and extruded aluminum hinges, which is fixed dome equipped with locking system from the outside or the inside, as needed. Opening is done using a gas piston. The dome can be made from transparent cellular polycarbonate, opaque or atermic, 10mm or 16mm thickness, depending on the width of the dome. 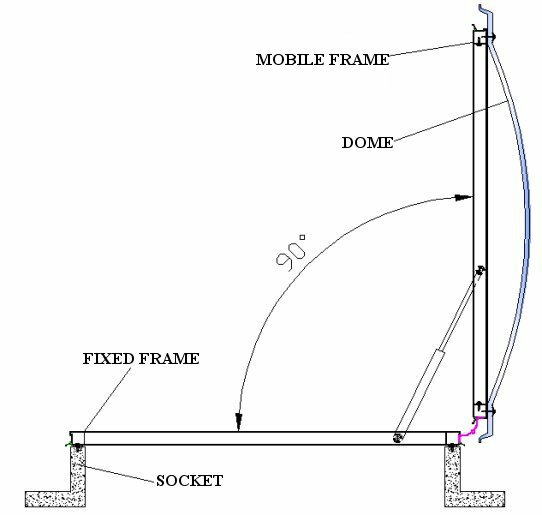 In both cases domes are thermoformed and self-supporting. Access hatches can sit on different bases of settlement. You can download technical specifications PDF for access hatches. In 2011, GBA Plastik has opened two new branches. GBA Plastik company has made efforts to obtain recognition of the quality products and services. To view the certification visit our certifications.